We're Moving + Releasing A Pattern! A lot has been happening in my life outside of the blog world. I've missed this space, but I have some really exciting things to share with you soon. I've been designing patterns - the carry-all kind! I love them and it's my hope that you will, too. If you'd like to be notified of the move from this site to the new site and the pattern releases, sign up below. As always, thank you so much for your readership. I'm happy to have you along for the exciting changes. We're growing and moving! Sign up to be notified of the upcoming changes and pattern releases! You guys! I started a youtube channel! I don't plan on creating videos about sewing, so I don't plan to be posting the videos here. At least, I don't think I will. BUT, I still wanted to share the channel with you all. I will be posting about my minimalist lifestyle and eco-conscious living. If that sounds interesting to you, I would love for you to check out my channel - Green Minimalist. Let me know what you think and if there are any videos you'd like to see. I used to view people's Instagram feeds via their blogs. Then, I realized that was both super creepy and really inefficient. So! I joined Instagram. If you'd like to follow me, you can do so by clicking HERE! I've started following a few of my favorites, but I'd love some recommendations! Share your favorites in the comments below. Thanks!!! I had the best of intentions to blog this bag soon after I made it, but I got so busy using it and toting it to the pool that I didn't get to it. I have been trying to soak up every minute of summer with my kiddo before the fall weather arrives. I love me some fall, but man, I love summer too. 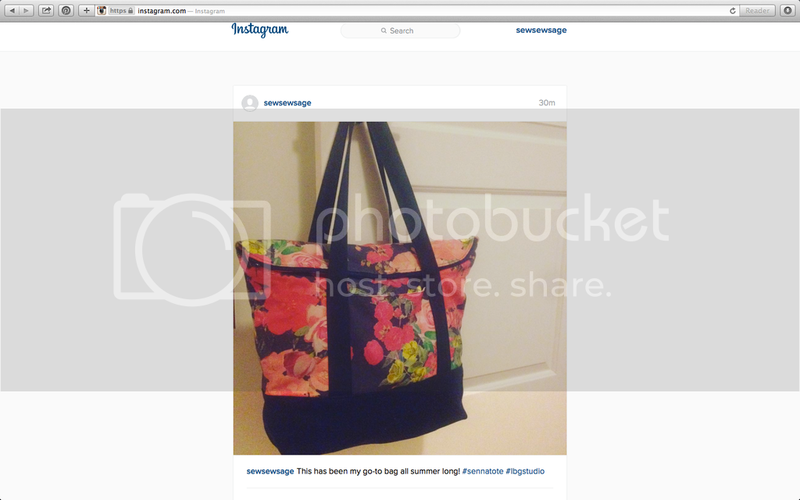 Just over a year ago, I saw the Senna tote on a few blogs and immediately pinned it. For whatever reason, I didn't buy the pattern then. I am thinking it was because I am so particular about patterns on my fabric. I'm also indecisive. And, you know, I prefer to work with organic fabrics, so many hurdles to jump that I pinned the Senna and kept my eye out the prefect fabric. 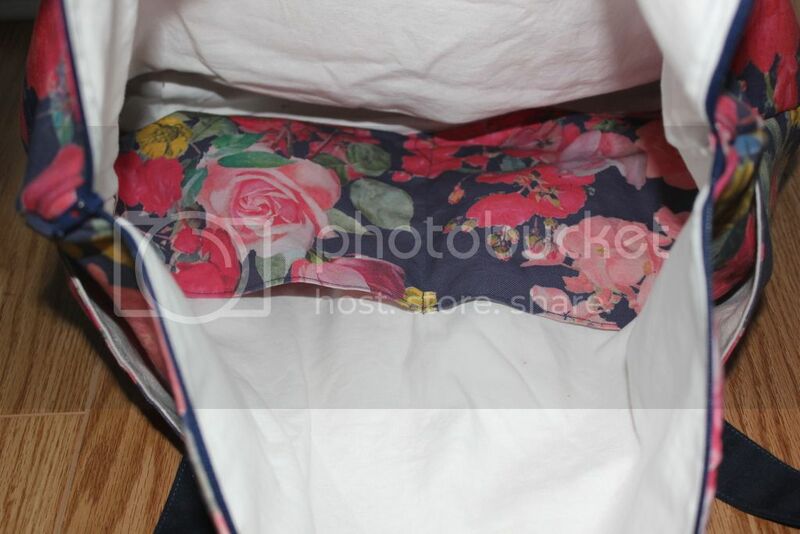 Fast forward to earlier this summer and I finally found it - the fabric I had been dreaming of! I was actually searching for fabric for another project I hope to share in the upcoming months, but I loved it so much I couldn't wait to us it. 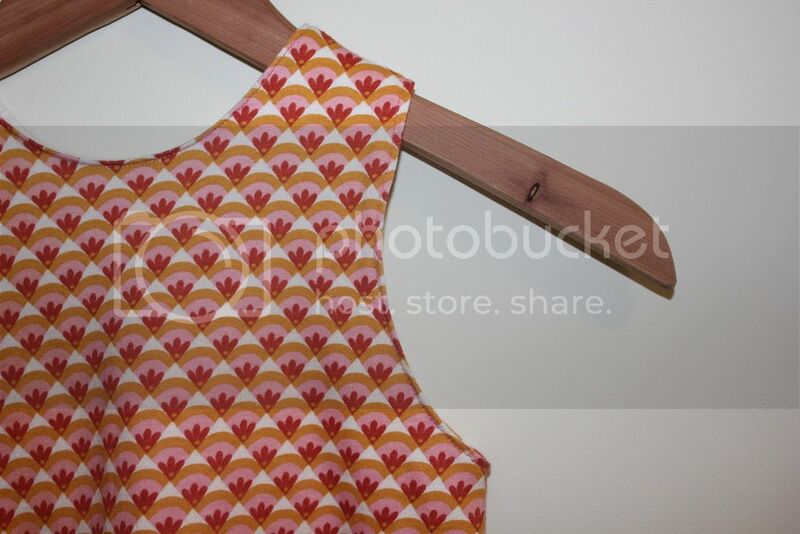 Then, I was like, SENNA….go to pinterest…scroll, scroll, scroll, found the pattern ….purchased it immediately…. bought my fabric and notions...and sew, sew, sew. So I present to you my Senna. I used it to tote our summer gear to the pool and our other favorite summer activities. The design is well-thought out, which I always appreciate. It was such an enjoyable bag to sew, really. I love the pockets - one on each side of the bag and two inside the bag. I do wish I had used the magnetic snaps on the inside pockets too, though. Being that I like organic fabrics, I never use interfacing. Naturally, when making a bag, especially a larger bag like Senna, this will result in some difference in structure, which I haven't found to be problematic, but the pockets on the inside tend to flop open a bit and I attribute this to my refrain from using interfacing, not any design flaws. 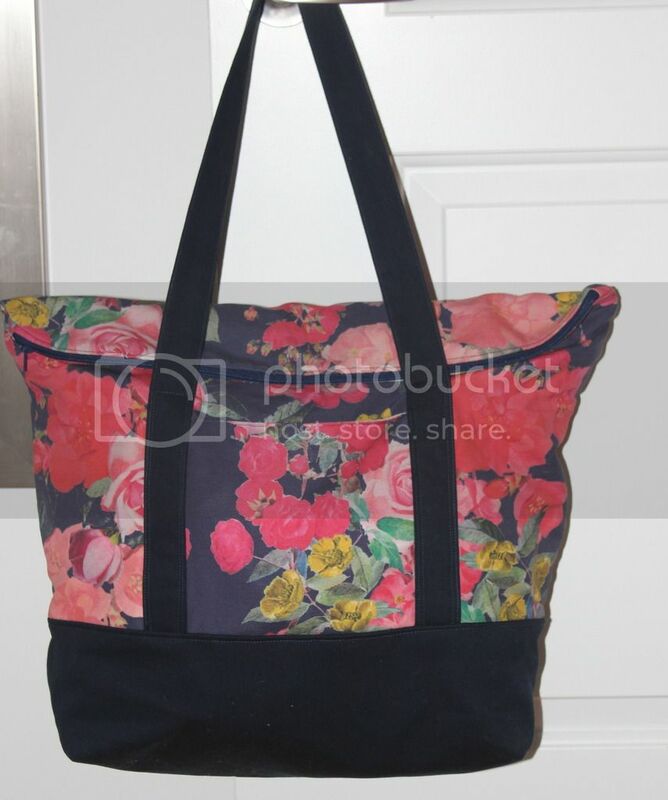 think this bag would also be great as a weekend or overnight bag. 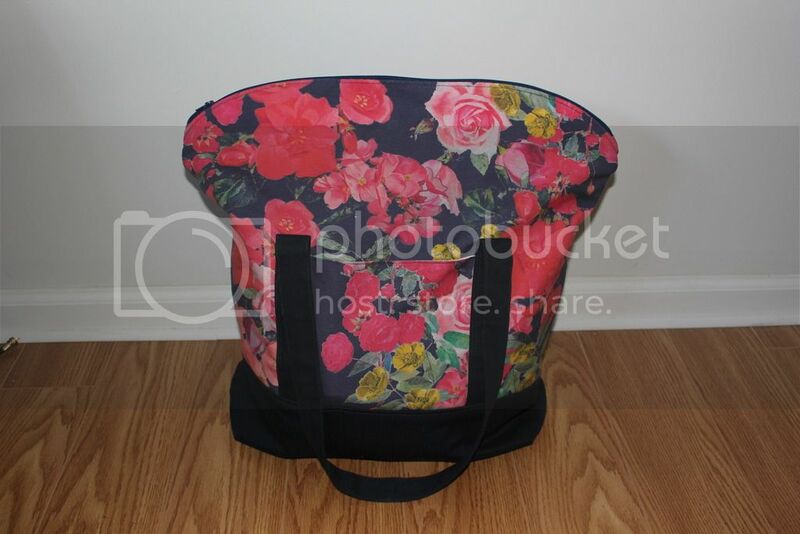 A great bag to use while traveling by plane or by car. 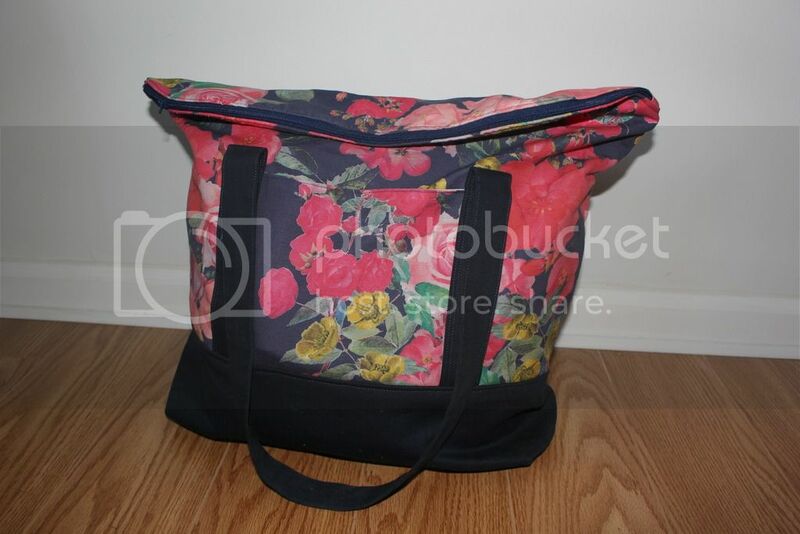 It would also be a nice diaper bag, according to a friend of mine, though I haven't used it as such since my kiddo is a few years potty trained now. Really, a very versatile bag. If you haven't made one already, now is the time! While going through my fabric stash, I came across a yard of fabric I bought for making a dress or top for mini. 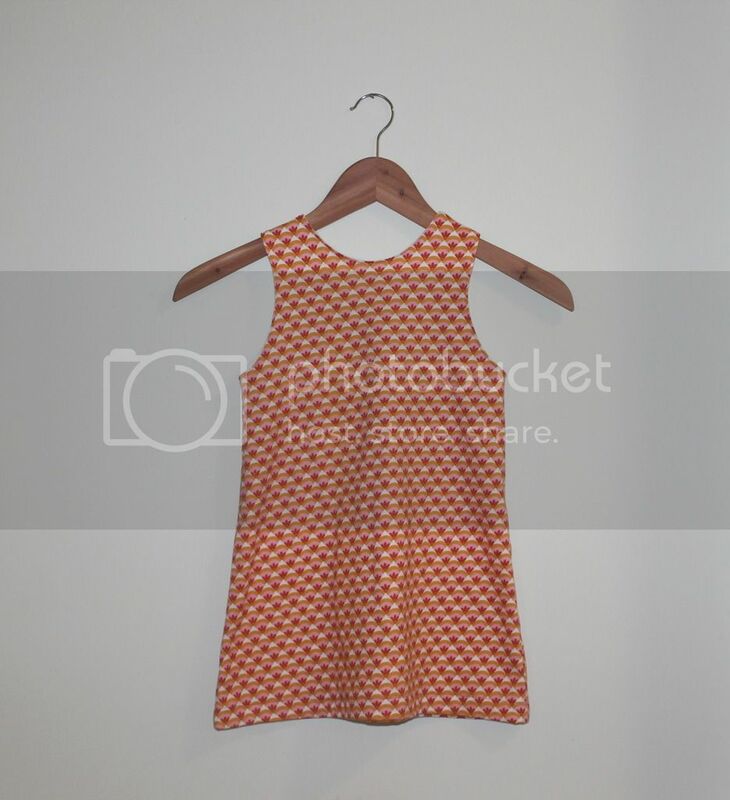 I knew I wanted to use The First Day Dress pattern by Dana Made It, but wasn't sure which garment to make from the pattern - it includes several variations. The peplum top, an a-line top, or an a-line dress. Flutter sleeves or no flutter sleeves? 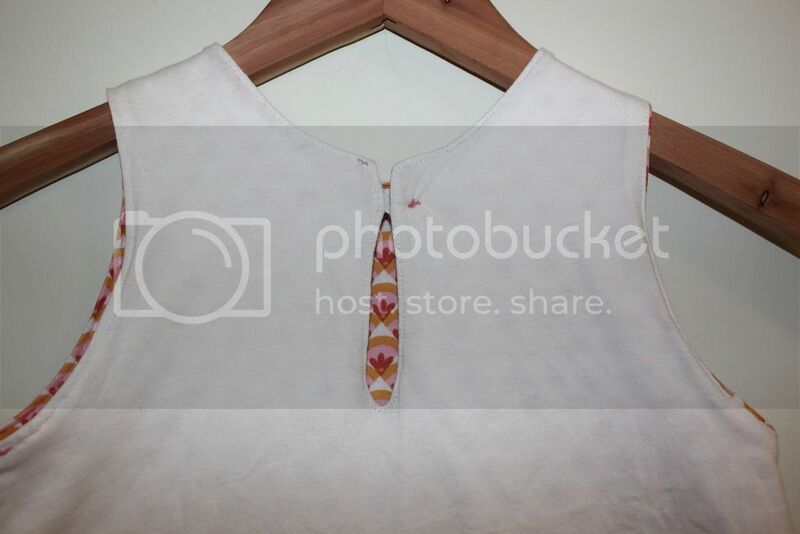 A front faux button placket or no buttons? Ultimately, I chose to consult with mini about the style she wanted. She chose the a-line dress and no flutter sleeves. Easy- peasy! 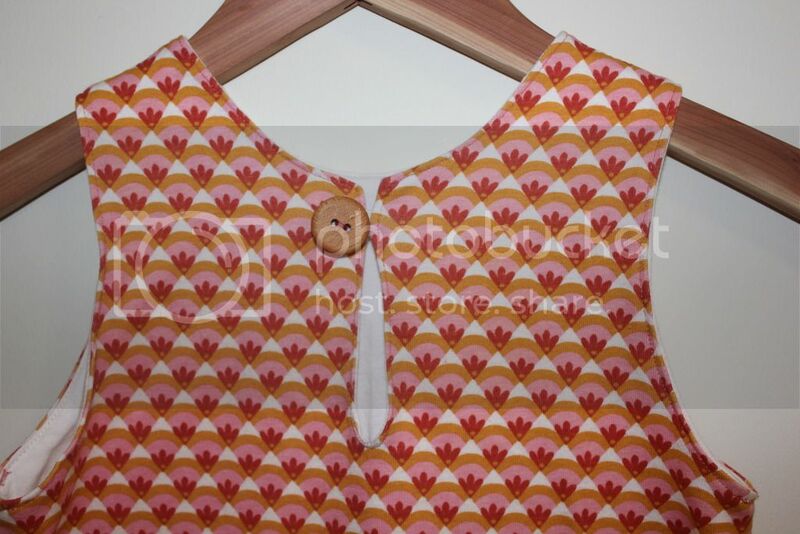 The last garment I made her was from this pattern, except it was the twirl dress. It is so adored that the fabric is fading from so much wash and wear. That makes a mama feel good - to know something sewn with care is so loved by her little one. No detail is left out in any of the variations. All the instructions and photos are very easy to follow. With four pattern options, plus sleeve variations - this pattern is such a good value! I'm excited to make a peplum top and an a-line top, too. I'll definitely be reaching for this pattern for years to come. Oh, the pattern recommends woven fabric, but I opted for knits and I didn't find that I needed to modify anything, but I did opt to use my serger for most of the seams. The fabric is Organic Sunrise Knit by Monaluna from the Raaga collection. 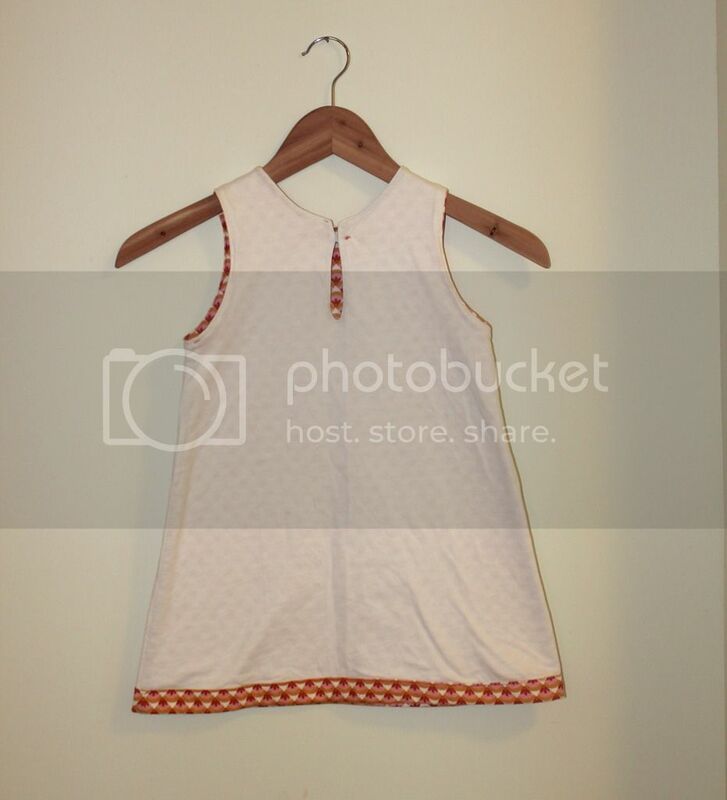 For the lining I use organic white cotton knit. 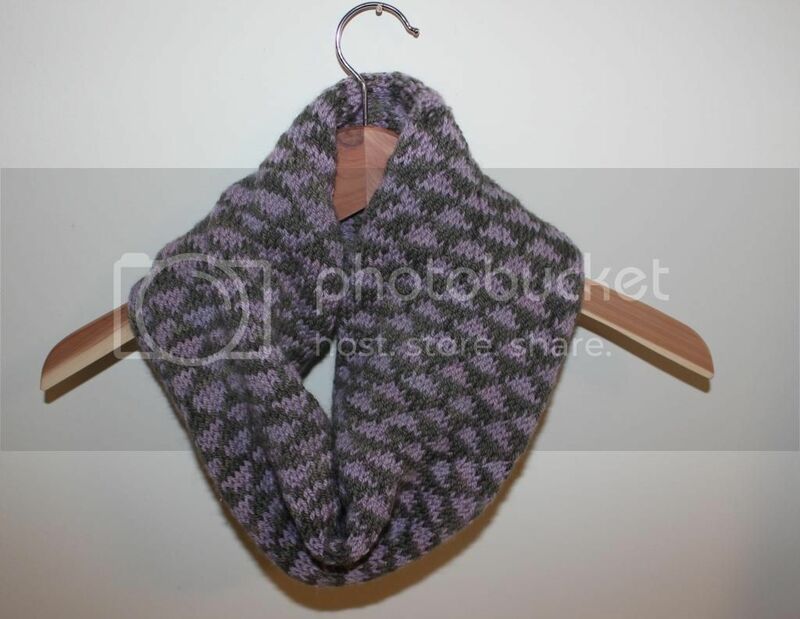 I'm really excited to share this triangle knit cowl with you. I finished it last night and am so so happy to have it just in time for Spring. My winter coat has a built in scarf, so I don't need a scarf for Winter. Come Spring, however, I wear a different coat (naturally) and definitely need a scarf! This little beauty is just right. No hanging tails when I lean over to pick up my kiddo. It is just right the right amount of everything. You can see all the details on my ravelry project notes, if you'd like! 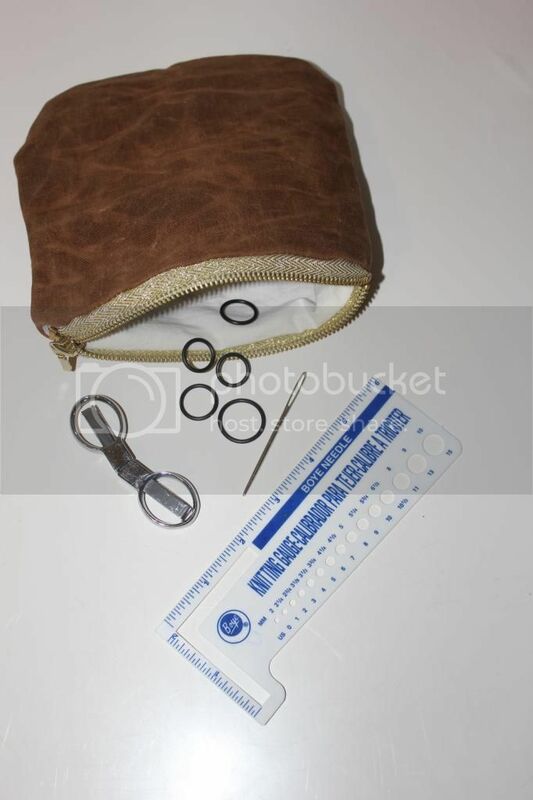 I've been in need of a small bag for sewing extras for a long time now. 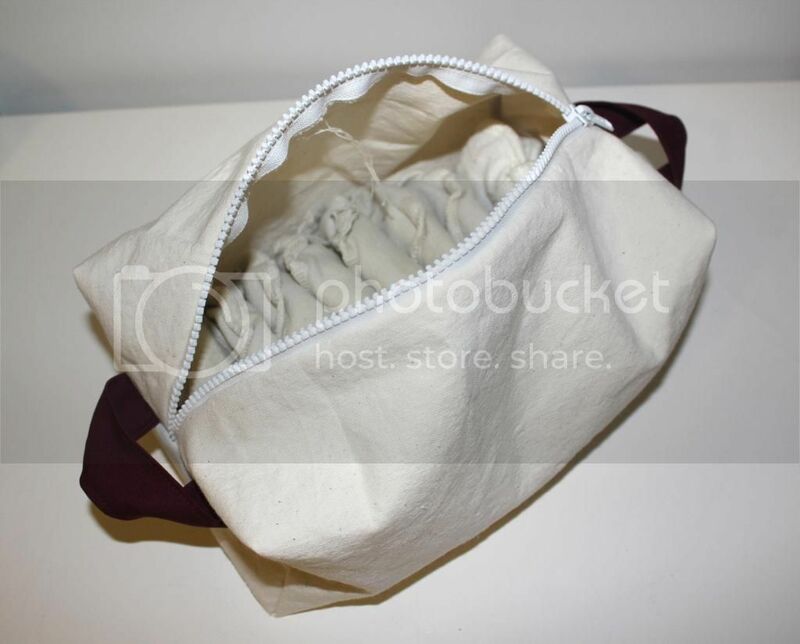 I finally decided to whip up this small bag with some extra waxed canvas I have from another project in the works. I also happened to have a small amount of light woven fabric for the lining and a zipper. I love when things come together! I bought my waxed canvas here - such a great shop! 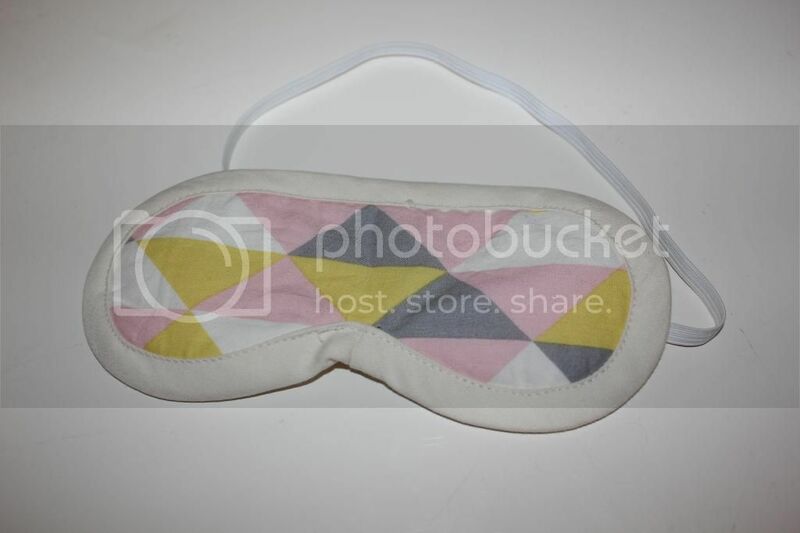 Also on my project list - an eye mask. I used this free template. 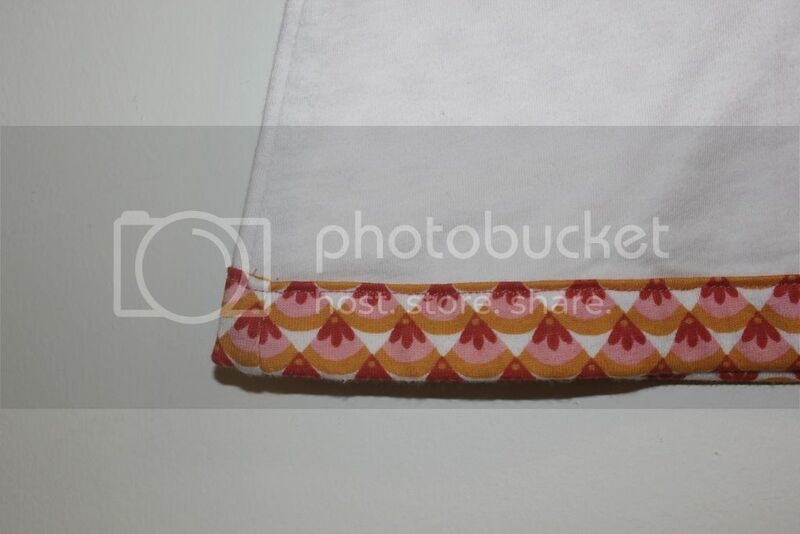 It worked out great, except my flub up on the curve with the bias tape. How do you do that? Tips? Send them my way, please! Coincidentally, I also had all the supplies on hand. Lastly, I've been thinking of ways to more efficiently stash my Glad Rags when they're not in use. I basically changed the dimensions and used this tutorial. I opted to forgo the lining and added a couple of handles on each end to make zipping a little easier. So quick! All rights reserved. © Maira Gall.